Introducing the Ed & Alanna, and Half Ed 2.0! 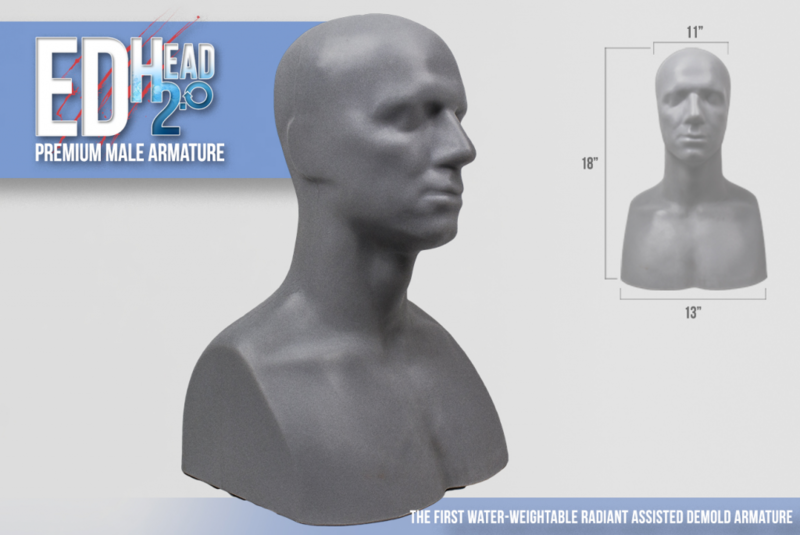 After years of development and suggestions from Makers all over the world, we are proud to announce the launch of our brand new H2.0 Armature Line: The world’s first water fillable sculpting armatures! 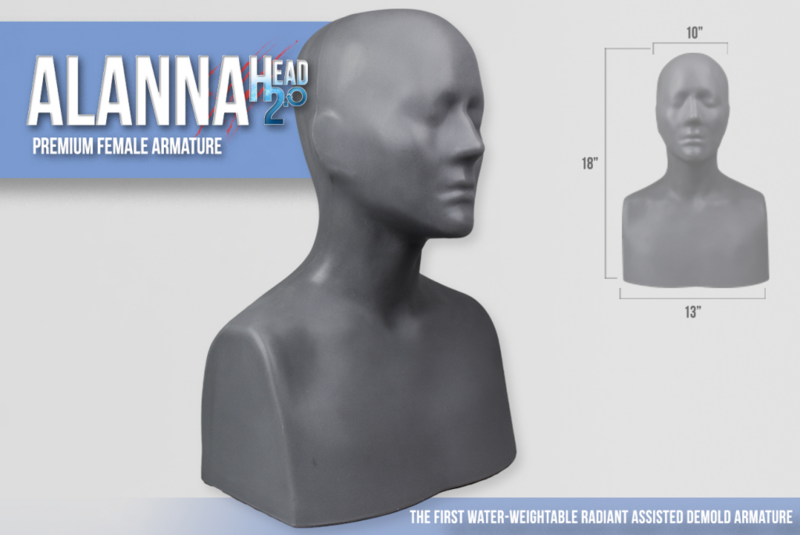 There are three models currently available: The Ed Head 2.0, Alanna Head 2.0, and Half Ed H2.0. 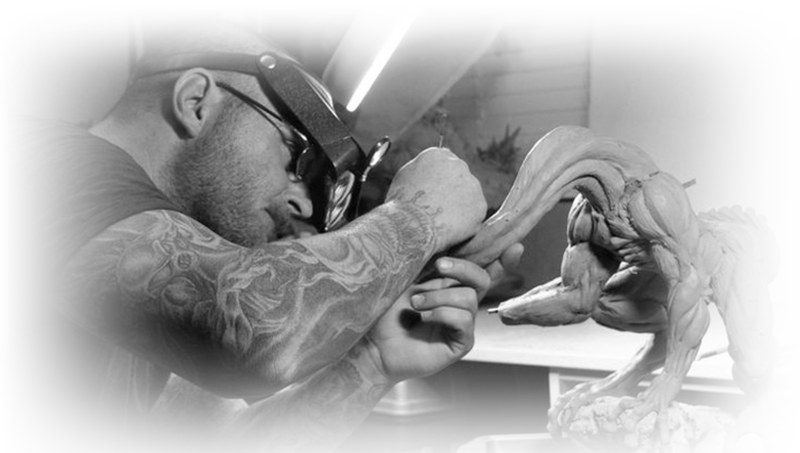 Each armature was based on the original Ed, Alanna, and Half Head designs we’ve been providing to makers for years. Completely reengineered and reimagined, the H2.0 line is composed of a rugged, high-density plastic that can withstand the rigors of mold making and years of continued use with little to no wear. We put that claim to the test by hurtling the Ed Head into the ground from 2 stories up! And if you think that’s crazy, we put the Half Ed through it’s fair share of testing: 4000lbs worth of solid Jeep Wrangler pressure 2 times! The results? Not a single scratch, crack, or fracture. 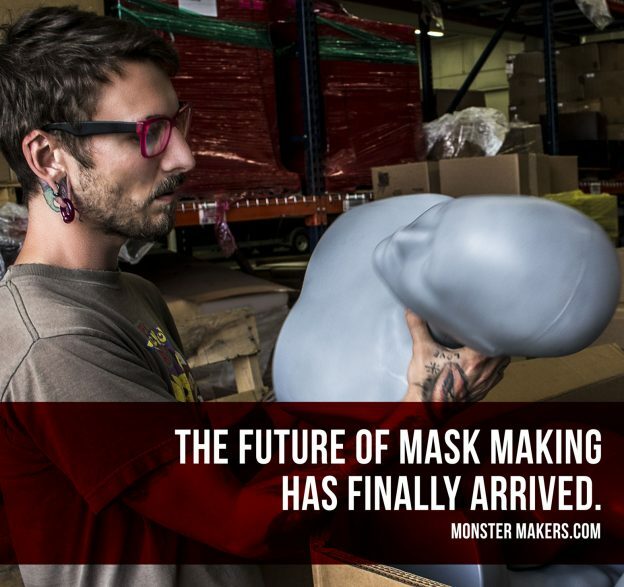 RAD (Radient Assisted Demold) Technology™ provides an easy, built in clay release system which dramatically aides in the demolding process for artists and mask makers using wax based clay mediums like our Monster Clay. 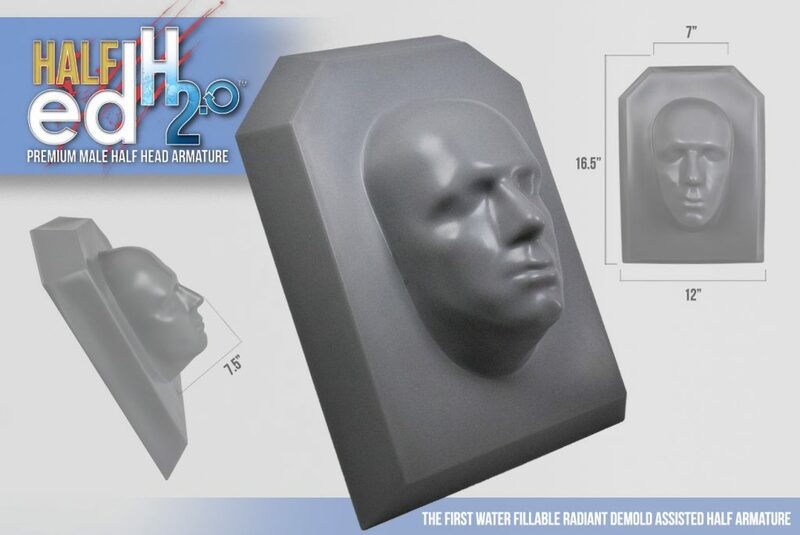 Each RAD enhanced headform filled with hot water becomes a vessel that efficiently transfers radiant heat from inside the form to the surrounding clay causing a softening effect within the mold. Molds made over RAD enhanced forms can be demolded rapidly and without difficulty, resulting in a greatly improved mold-making experience. 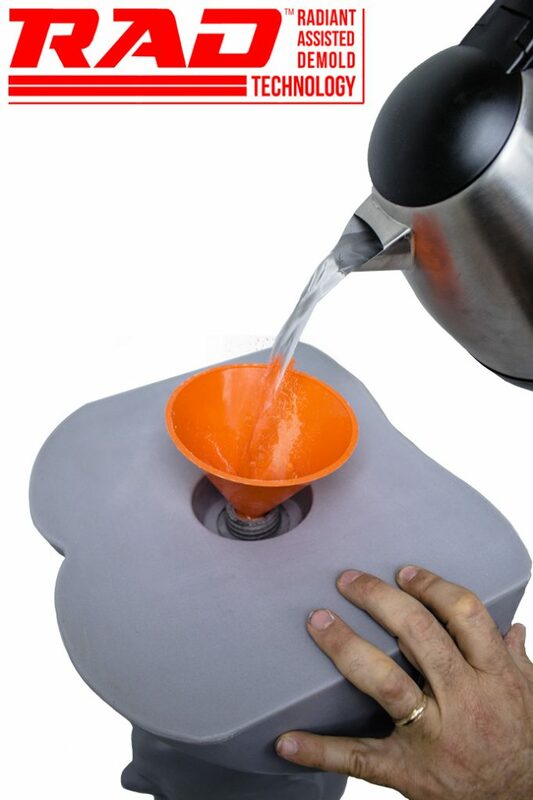 When you are ready to demold, simply turn the mold over with the bottom side up, unscrew the inset bottle cap and fill the head form with hot water. Within minutes, radiant heat will begin to penetrate the clay and into the mold for the easiest demolding experience of your life! Don’t just take our word for it, give your mask making a facelift! This entry was posted in Uncategorized and tagged Alanna, alanna head, armature, Ed, ed head, ed head 2.0, half ed, half ed 2.0, half head on January 29, 2019 by Arnold Goldman.